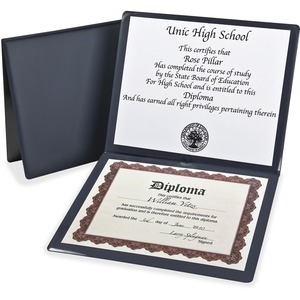 Diploma Holder offers a dual-window design so you can insert two diplomas or a diploma and other letter-size certificate inside the cover for safekeeping. Moisture-resistant padded vinyl is sealed over stiff boards for durable construction. Built-in tabs give you the option for mounting the achievement to the wall.